Our company is all about offering state of the art professional photography and video services for a wide variety of customers-individuals, families, businesses or resort hotels and real estate interests. We particularly like to do weddings, small or large, and do our best to make each one a memorable event for years to come. We offer combined service of both HD photos and full motion HD video of the entire wedding in a single affordable package. Photographing family gatherings here on Amelia Island is also a favorite thing for us to do. In recent years we have focused on producing full motion walk through video tours and HDR virtual tours for home sales, resorts and businesses. Please visit our Video Gallery and Photo Gallery to see some examples of our work. Please note-Scroll down for additional content! Elizabeth Wilkes Photography is located on Amelia Island, Florida, just northeast of Jacksonville, Florida. 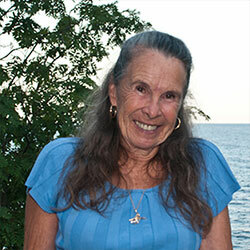 The Company is owned and operated by Elizabeth and Clyde Wilkes and has been in business for 16 years. They operate as a team and have acquired extensive experience in professional photography over the years. They continue to evolve and in more recent years have focused on family gatherings, weddings and real estate/resort photography as well as video productions for businesses. 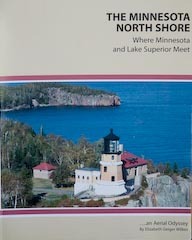 Elizabeth has produced a number of photo journal publications related to travel to Cumberland Island, Jekyll Island, Key West, Florida and the Minnesota North Shore on Lake Superior. 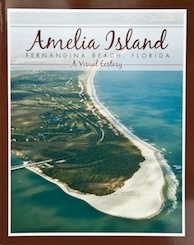 More recently she has completed a destination travel publication about Amelia Island, Florida. The Publications section provides more detail. Elizabeth is a member of Amelia Island Art Association and our business is a member of Amelia Island-Fernandina Beach-Yulee Chamber of Commerce. 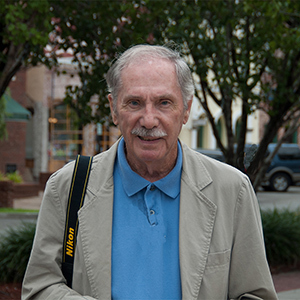 Clyde has focused on video productions especially for weddings, businesses and real estate/resorts. They work as a team for real estate full motion walk through video tours as well as HDR imaging for virtual video tours. All HD images and HD video clips are carefully edited by hand with the latest Adobe Creative Cloud software, including Photoshop, LightRoom, Premiere Pro and After Effects. Multiple versions of the finished video file is provided in order to satisfy MLS and realtor.com requirements. Additionally the completed video file is uploaded to youtube.com and vimeo.com for maximum internet exposure. Turn around time is usually 1-2 days. Reasonable and competitive pricing packages are offered. There are four categories in the Video Gallery section-Island Scenes, Events/Family Gatherings, Weddings, and Real Estate/ Resorts. Please select the video of choice and click the play/pause button. Controls for play/pause, mute/volume and full screen are located on the control bar. The videos are HD and capable of play at full screen. Welcome to our Photo Gallery. There are four categories to consider-Island Scenes, Events/Families, Weddings and Real Estate/Resorts. Please select the category desired and then select play/pause to see a slideshow for that category of images. All of the images are HD and Full Screen mode is available. Please scroll down for further content. "Amelia Island-A Visual Ecstasy" is a photographic tour with both ground and aerial images of the most North East Barrier island in Florida. It also shows the history, diversity and beauty of this great vacation/recreational island and wonderful place to call home. "A Cumberland Island Adventure" is a photographic journal depicting a day trip from St. Marys, Georgia to Cumberland Island National Seashore and back again on the National Park Service boat, The Cumberland Queen. Cumberland Island is located between Jekyll Island, Georgia on the north, Amelia Island, Florida and St Marys River on the south with the Atlantic Ocean to the east and Cumberland Sound and Cumberland River to the west. 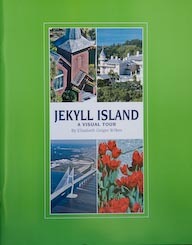 "Jekyll Island.....A Visual Tour" is a photographic tour of the smallest of the Golden Isles off the Georgia coast. With aerial and ground photographs taken around the Island, one can see the beauty of the entire area. There are many ways to enjoy the Island such as walking, biking, horseback riding, in a horse drawn carriage, on a trolley, in an electric car or your own automobile. There are also special places to go such as the Sea Turtle Center, marshes, beaches, picnic areas, golf courses and a beautiful water park. The Historical District is of particular interest. "The Minnesota North Shore: Where Minnesota and Lake Superior Meet" is an aerial odyssey of the gorgeous shoreline between Duluth, Minnesota and the Canadian border at the Pigeon River. It is amazing to see those spectacular aerial views of Lake Superior. Duluth, Minnesota is at the southwest tip of Lake Superior. Highway 61 travels up the shoreline through Two Harbors, Silver Bay, Tofte, Lutsen and Grand Marais before reaching the Grand Portage Indian Reservation at the Canadian border. "Key West.....A Virtual Tour" is a collection of aerial and ground photographs portraying many of the highlights of Key West, Florida, the most southern point in the USA. Key West is a colorful city with many delightful things to see and do. It is also gorgeous when seen from the air from the Atlantic Ocean to the Gulf of Mexico. The amazing tradition of watching the sun go down at sunset is especially spectacular. Thanks for considering us! Please call, email or use the form below to tell us about your photography/video project and obtain great value with our pricing packages. Use the form below to send us a quick message or question and we will get back to you as soon as possible. It would be helpful if you could give us the approximate number of people involved and estimate the number of hours needed for the photo/video session.